Visitors to North Carolina may not want to miss local holiday traditions such as a walk around the Uptown Charlotte area, where larger-than-life Christmas decorations, lights, and ornaments add a festive vibe throughout December. The Leonard Bearstein Symphony Orchestra, or Bearstein Bears as locals know it, has been entertaining holiday revelers at Founders Hall from the last week of November through the end of December each year since the late 1990s. 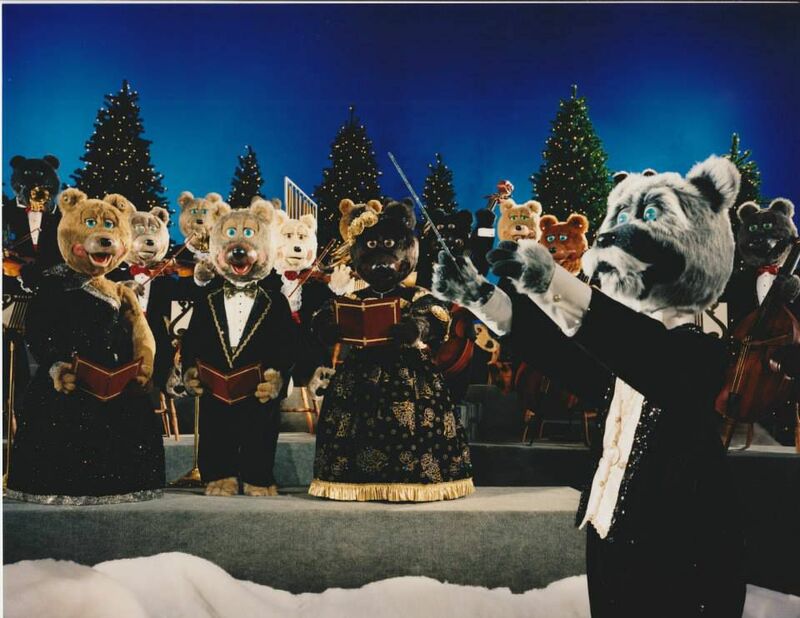 The beloved animatronic bears perform Christmas classics during 45-minute sets that repeat hourly on most days, though they do take a break on Christmas Day. A beautiful landscape of lighted Christmas trees, a gift-filled sleigh, and snow surrounds the 17-bear ensemble, which includes three vocalists, two cellists, several violinists, a bassist, a saxophone player, percussionists, a drummer, and a trumpet player. The life-size robotic bears, dressed in tuxedos and cocktail gowns, follow the lead of Maestro Leonard Bearstein, who addresses the audience at the beginning of each set. The name Leonard Bearstein plays on the identity of New York Philharmonic Orchestra's legendary conductor Leonard Bernstein. Lots of other bear puns take place throughout the show, so listen closely or you might miss a few. Visitors can expect to hear classics such as "Have a Holly Jolly Christmas,” “Jingle Bells,” “Feliz Navidad,” "Rudolph the Red-Nosed Reindeer," “We Wish You A Merry Christmas,” and more. The bears don't take requests, so you won't be able to ask for your favorite tune on the spot. Whether you're Uptown for a show, passing through Founders Hall on your lunch break, or in the midst of a special Christmas visit, take the time to drop in and hear these bears perform. Even if the bears aren't singing when you find them, it's still a beautiful spot for a photo of the family. And you can take a complete concert recording home with you on a CD available at shops throughout Founders Hall. Founders Hall is located at the Bank of America Corporate Center at 100 N. Tryon St. (at the corner of Trade St.) in Charlotte's city center. You won't miss the city and state's tallest, 60-story building. The bears perform from late November through late December, seven days a week. Occasionally, a regularly-scheduled performance may not take place due to a special event in the hall. Signs typically alert patrons when there's no show slated for a certain time period. The bears do not perform on Christmas Day, when Founders Hall closes to the public.